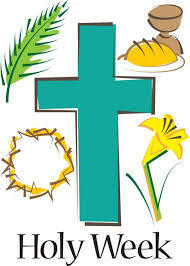 Palm Sunday, April 14 – Holy Week begins on Palm Sunday with the celebration of Jesus’ triumphant entry into Jerusalem. Children attending Sanctuary worship may participate in a Palm Processional during the 9:30 and 11:00 am services. From 9:00 to 11:00 am we will have a petting zoo and collect a special offering for Heifer International. To read more about this great outreach go to http://www.heifer.org/ourwork/mission. The Living Last Supper, Thursday, April 18, at 7:00 pm in the sanctuary – This service will include a dramatic presentation of The Living Last Supper, and the opportunity to receive Holy Communion at the altar. The Mess in the Shadows of Jerusalem, Friday, April 19, at 7:00 pm in the fellowship hall – Come hear and experience the mess in Jerusalem during Jesus' last week. Actors, backlit to create shadows, will protray some events of Holy Week, amidst scripture and song. Easter Egg Hunt and Crafts, Saturday, April 20, at 10:00 am in the fellowship hall and on church grounds. For children, infants through 5th grade. Bring your basket! All are invited to bring a flower from home to place on our Resurrection cross located outside the education building on Easter Sunday.